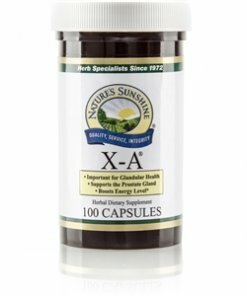 Nature’s Sunshine X-A® blends herbs that are natural sources of minerals essential to prostrate health. The balance of nutrients in X-A encourages healthy prostrate function as well as the production of male hormones. 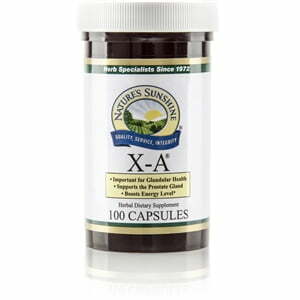 X-A may also provide a boost in energy levels.